Description:15 beautiful grandparent related sentiments make up this word art sheet. 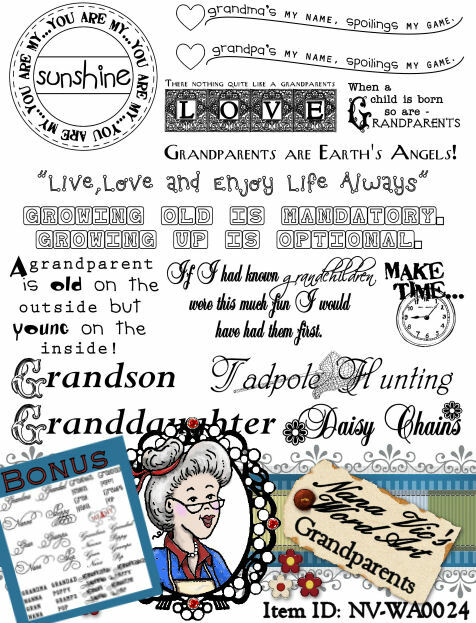 I've also included a bonus word art sheet with the word: Grandma, Grandpa, Nana, Poppy, Nana, Pop, Gran and Gramps written in 5 different fonts. There is even a little digital of two joining hearts with 'Me & My' written across the hearts. 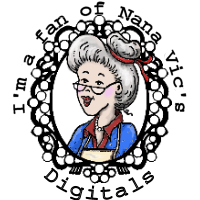 A great collection and one I'm sure you'll use many times over in your creative projects.